For a pro-life member of an Irish political party that would not allow its members the right to exercise their conscience in matters of abortion, the die was cast last weekend for Sinn Féin member of Parliament Carol Nolan. Sinn Féin supported repealing the Eighth Amendment, which gave equal rights to mothers and unborn children. The repeal passed overwhelmingly on May 25. The first step came last March when Nolan was suspended for three months for voting against holding the abortion referendum. Last weekend’s ard fheis [annual conference] voted to amend party policy so that its TDs [members of the Dáil Éireann, the lower House of the Irish Parliament] can support legislation allowing for abortion up to 12 weeks. Ms. Nolan told Cormac McQuinn that TDs were responsible for the laws they enacted and “if a TD votes for abortion they are responsible for all abortions that happen in this State”. According to the London Times’s Ellen Coyne, Nolan also said she did not want to have any part in bringing about “the end to the life of an unborn child. The Times said she would stay on as an Independent. “This has been an extremely difficult time for Deputy Nolan and other Sinn Féin members who stood up for real democracy and freedom of conscience within the party. “They should be immensely proud of what they have done. Despite all the packaging from government, the proposed legislation for abortion has nothing whatsoever to do with providing ‘healthcare’ for women and everything to do with introducing abortion on demand. “It’s regrettable that more politicians didn’t speak up before the referendum about the horrific reality of what Repeal will mean but at least we can be very thankful that people like Carol Nolan did not remain silent at such a critical time. 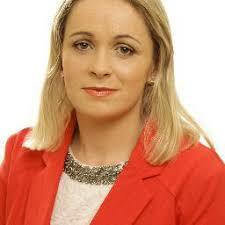 More than ever, we need people like her in Dáil Éireann.